Exercise vs. drugs: Which does better against high blood pressure? Against fat? 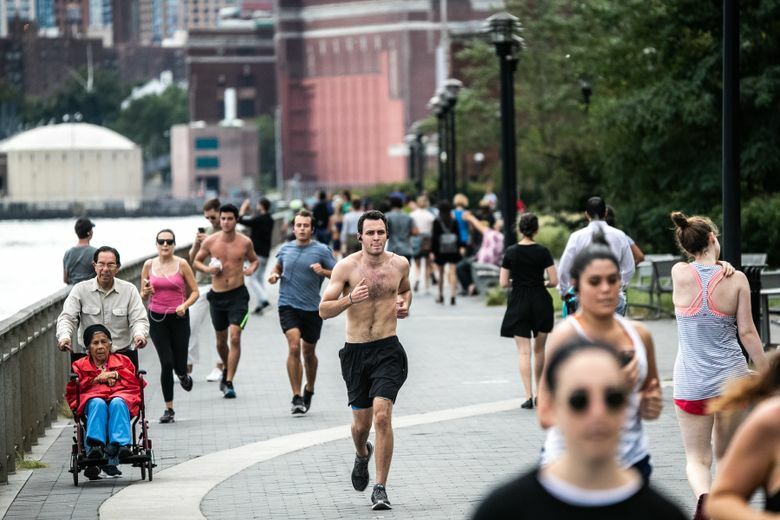 Exercise can lower blood pressure and reduce visceral body fat at least as effectively as many common prescription drugs, according to two new reviews of research about the effects of exercise on maladies. The possibility of formally prescribing exercise as a treatment for various health conditions — including high blood pressure, insulin resistance, obesity, osteoarthritis and others — has been gaining traction among scientists and physicians. The American College of Sports Medicine already leads a global initiative called Exercise Is Medicine, which aims to encourage doctors to include exercise prescriptions as part of disease treatments. But while drugs face extensive testing before they can be approved and prescribed, exercise studies, even those examining exercise as a treatment for illness, have tended to be relatively small and short term. They also rarely compare exercise head-to-head with drugs to treat the same condition. So, the authors of the two new reviews independently decided to stage their own exercise-versus-drugs scientific rumbles and, for each, use the same, slightly indirect approach. They would, the researchers decided, collect the best recent studies looking at the effectiveness of drugs for a condition and the best comparable studies using exercise to treat the same illness and collate, analyze and compare the various results. For the first of the new reviews, which was published in December in the British Journal of Sports Medicine, researchers at the London School of Economics, Stanford University and other institutions decided to focus on systolic blood pressure (the top number), in large part because high blood pressure can be so devastating, increasing risks for heart disease, Alzheimer’s and early death. Hypertension is also treatable, with drugs that include beta blockers, diuretics and many others, or exercise. The researchers now gathered 391 randomized, controlled trials — the accepted gold standard for testing treatments — that looked at either a drug or some form of exercise to lower blood pressure. Together, the experiments included almost 50,000 volunteers, with more than 10,000 of them in the exercise studies. The researchers then summed the data from the drug or exercise tests and found that, in aggregate, all the drugs and any type of exercise lowered blood pressure, although drugs generally achieved slightly greater reductions. That extra bump downward from drugs may have been a result in part, the researchers believe, to a reliance on relatively healthy volunteers in the exercise studies; their starting blood pressures tended to be lower than in the drug trials, so the drop by the end was slighter. The methods in the exercise studies also were often less tidy and precise than in the drug tests, the researchers point out. Volunteers in the exercise studies were rarely blinded, for instance, since it’s hard to prevent people from knowing whether or not they are working out. There was also little long-term follow-up of exercisers. Some of these same issues bedeviled the exercise science highlighted in the other new review, which was published in February in Mayo Clinic Proceedings. For this study, the researchers zeroed in on fat and, in particular, visceral fat, a particularly hazardous type of fat that accumulates around our middles and deep beneath the skin, smothering internal organs and heightening the risk of metabolic problems. Several drugs are currently approved to trim visceral and other types of fat, including metformin and orlistat. Exercise has also been shown to reduce visceral fat. But there has been little science comparing those approaches. So, the researchers, most of them from the University of Texas Southwestern Medical Center in Dallas, rounded up recent relevant drug experiments and similar randomized trials using exercise to fight visceral fat. All the experiments had to have lasted for at least six months. Then they aggregated results. Again, as in the other review, drugs and exercise both succeeded for most participants; using either approach, most people lost some visceral fat. But in this review, exercise was slightly superior in that for every pound someone dropped, more of it was visceral fat when the person exercised than when he or she used drugs. The upshot of the review is that “lifestyle changes such as exercise should be the first step” when people set out to reduce visceral fat, said Dr. Ian Neeland, an assistant professor of internal medicine at the University of Texas center, who oversaw the new review. He and his colleagues also found that aerobic exercise trimmed visceral fat more effectively than strength training, although most of the exercise trials were small-scale and had no placebo control. Taken together, the new reviews indicate that exercise can equal or exceed the effects of drugs on high blood pressure and visceral fat. But they also underscore that clinical exercise science could stand to raise its game and develop greater rigor in testing exercise as medicine. Long-lasting studies that directly compare different drugs and various types of workouts are needed, Neeland said, although they will be logistically difficult and expensive.